When American writer & poet Dr. Maya Angelou passed away in 2014, I discovered her extensive work of poetry. The mood, the tone and the strength of her poems touched me deeply and many of them seemed like natural lyrics to me. Maya Angelou found the words we seek to express and depict love, loss, hope and confidence. Her poems center on themes such as racism, identity, travel and love. The power of her words are still very perceptible and relevant to all of us, it seemed to me. I began to collect the poems that resonated with me and that I felt most connected to. Within a few days, I asked Erik van der Luijt to put Maya's words to music for me. The result of our journey is here. I hope you will enjoy our efforts! "Versatile, attractive & beautiful vocals." "With ms Huizinga singing beautifully and Van der Luijt’s trio swinging, this is a particularly successful “jazz and poetry” set, one that often sounds playful and celebratory. Both the power of Maya Angelou’s words and the jazz talents of Ilse Huizinga and her musicians come through well on this worthy project." 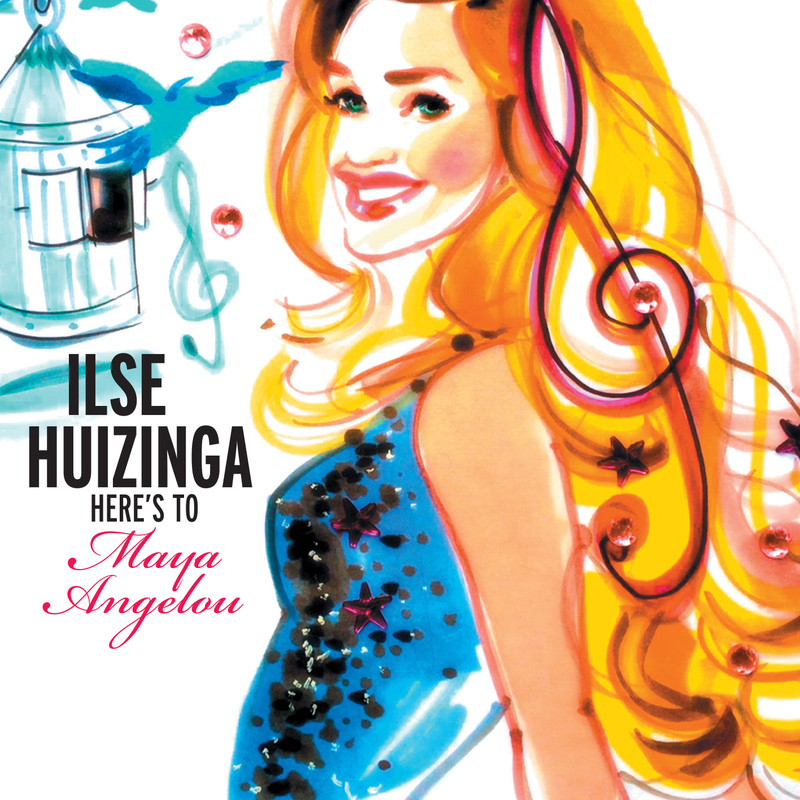 "Amsterdam siren Ilse Huizinga perfectly seasons the sentiment and gravity of these rare songs. Virtuosity brims from this recording." "''Her new album Here's to Maya Angelou contains twelve jazzy, groovy songs and is already on all the bestselling lists in Japan.''" ""[...] She brings the play really convincingly when she interpreted the mid and low register. [...]""
"A surprising mix of jazz, blues and pop, where the vibrant, dynamic voice of Ilse plays the leading role."